As noted in a regulatory filing from February, Apple's retail chief Angela Ahrendts is leaving the company today, with April 15 marking her last day at Apple. Apple in early February announced that Ahrendts' role as Apple's head of retail would be ending, with Deirdre O'Brien taking over. Deirdre O'Brien was formerly Apple's vice president of people, but her title is now Senior Vice President of Retail and People as she is maintaining her current responsibilities while also overseeing Apple's retail initiatives. Over the weekend, Apple removed Ahrendts' profile from its Apple Leadership page in preparation for her departure. According to Apple, Ahrendts is leaving the company for "new personal and professional pursuits," though it is not clear where she plans to go after leaving Apple. Apple did not give deeper detail on the reason for her departure, but she is departing amid a significant drop in iPhone sales in China and some other emerging markets. Ahrendts has been the head of Apple retail since she joined the company in 2014, and she has overseen the launch of the redesigned Apple Stores and customer experiences that have been rolling out across the world over the course of the last several years. Under Ahrendts' leadership, Apple ditched the Genius Bar and instead adopted the more casual Genius Grove, cut down on third-party accessory sales, and turned its retail stores into gathering hubs with Today at Apple classes, artist performances, and more. 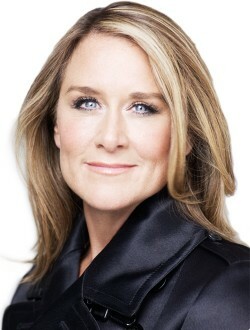 Prior to working at Apple, Ahrendts was the CEO of famous fashion company Burberry, and before that, she held positions at Liz Claiborne and Donna Karan. Ahrendts joined Apple at a time when Apple was experimenting with luxury products, launching the super expensive 14 karat gold Apple Watch in 2015, which never really caught on and was ultimately discontinued. In a farewell note announcing Ahrendts departure to employees, Apple CEO Tim Cook called her "a much-loved and accomplished leader" who had played "a transformative role" shaping the Apple retail experience. Angela has inspired and energized our retail teams with the vision of stores as a place where the best of Apple comes together to serve customers and communities. During her tenure, the in-store experience has been redefined with programs like Today at Apple, and our relationship with customers is stronger than ever. Deirdre O'Brien will be reporting directly to Tim Cook going forward. She will continue to oversee talent development and Apple university, recruiting, employee relations and experience, business partnerships, inclusion and diversity, and more, along with retail experiences. At the current time, Apple has more than 500 retail locations across five continents and more than 35 online stores around the world.